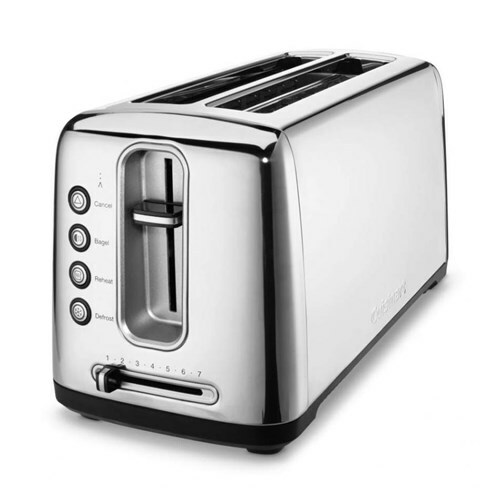 The Cuisinart CPT-2400 is a 2-slice stainless steel toaster which comes with six shade settings from light to dark. It features 1.5 inch wide slots which can accommodate bagels muffins and thick slices of bread. The custom 6-setting browning dial provides functionality of reheat, defrost and bagel settings. 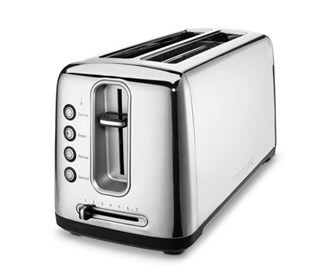 The toaster is BPA free and contains a pull-out crumb tray for easy access. The Cuisinart CPT-2400 has many exciting features for users of all types. You can extend the lifetime of your Cuisinart CPT-2400 with the purchase of a FactoryOutletStore Factory Protection Plan. See the Cuisinart CPT-2400 gallery images above for more product views. The Cuisinart CPT-2400 is sold as a Brand New Unopened Item.